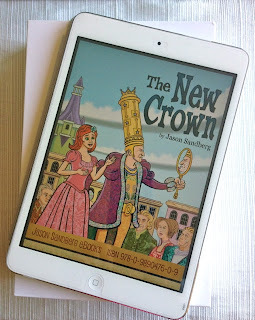 Although I read very few ebooks, when author Jason Sandberg contacted me recently about his ebook, The New Crown, published in 2013, I knew I was in for a treat. At the beginning of this year, I read his first book, Candy and the Cankersaur, a charming ebook for children, which focuses on a young girl and her pet dinosaur. This time, the book is about the Kingdom of Platavia, which is ruled by King Plunder. His name says it all. King Plunder takes whatever he wants, and gives nothing to the people but bad advice. The best way to deal with King Plunder is to avoid him as much as possible, and to visit Julietta instead for assistance and advice. A skilled carpenter and inventor, Julietta can make just about anything, using wood, metal, or fabric. She's invented machines and can fix whatever is broken; she can even make fancy hats! One day, Julietta is arrested for making a hat that's grander than King Plunder's crown. Locked away in a tower, Julietta has to figure out a way to become free, and to continue to help the people of the kingdom, who are suffering under the rule of a very selfish king. Once again, I read this picture book on my iPad mini, which is the perfect eReader for a book of this length (27 pages total). I took a look at the book as well on my iPhone, but I preferred it on my iPad mini, because of the spacing and the size. Author Jason Sandberg has put his imagination to good use again. The illustrations are especially appealing, with just the right amount of detail. The expressions of the main characters, pompous King Plunder and helpful Julietta, as well as of the other characters, skillfully convey various emotions, so that parents and children could discuss what characters are feeling or thinking. Inspired by the Disney princess stage his daughter went through, the author has created a picture book with a fairy tale feel to it. 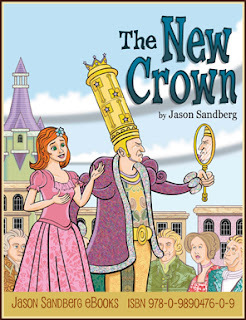 The New Crown would be a wonderful bedtime story for children ages 3-6, and a terrific read-alone book for children ages 6-9. You're never too old for picture books, and I enjoyed reading The New Crown, which is colorful and clever and altogether captivating. The graphics look delightful! Glad you enjoyed it. Wow, that looks great on your iPad mini! Seriously, though, this sounds like a great kids book; thanks for sharing. I love reading kids books on the iPad. This does sound cute! And I enjoyed Jason Sandbergs first childrens book as well. Nice post Suko! I have a few young relatives who might enjoy this one. Perceptive point about the expressions of the characters. I think that illustration of this sort can have a great impression upon the young and the not so young! 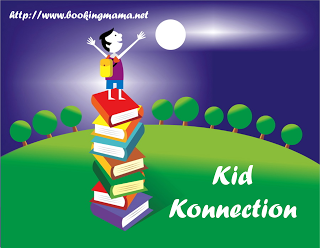 I like a lot to read children books ! Old and new ones. It's always a way to be happy... if the book is a good one as this one seems to be ! Since I have no kids, I don't read children's books but this does sound cute. Thanks for all the comments. It's was a lot of fun to read Jason Sandberg's The New Crown on my iPad mini, which is just the right size for this book.